Hannah: "I like many different looks. Could be really casual one day and very dressy another day. Whatever the mood is of the day. I have a lot of clothes and I love putting them together in interesting ways. I'm very passionate about fashion. Coco Chanel is my original inspiration. It's just classic -- it's timeless and beautiful." TorontoVerve: "Who's your biggest role model in life?" Hannah: "My mother. She's no longer alive. She died about a year and a half ago, but she's the most wonderful person in the world. She was very gracious and thought the best of people. She always encouraged me in anything that I was interested in doing." 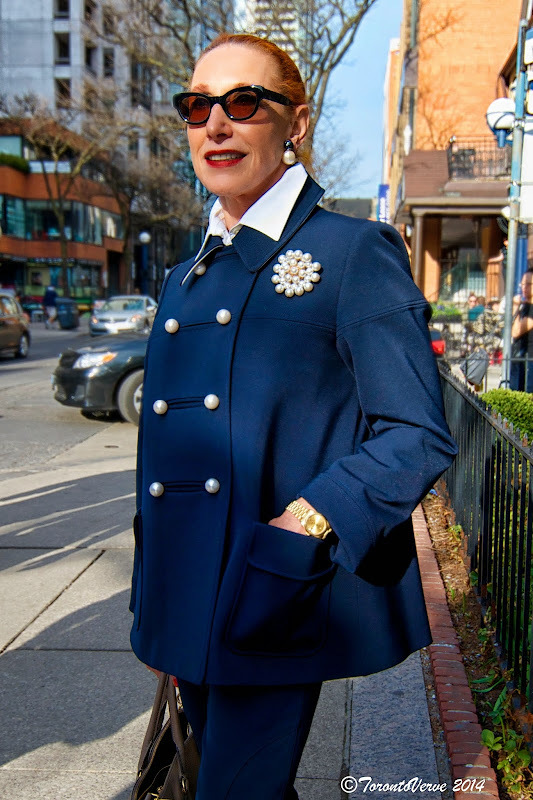 I've run into her at the Toronto Vintage Clothing Show at Wychwood Barns and she looks just fabulous. 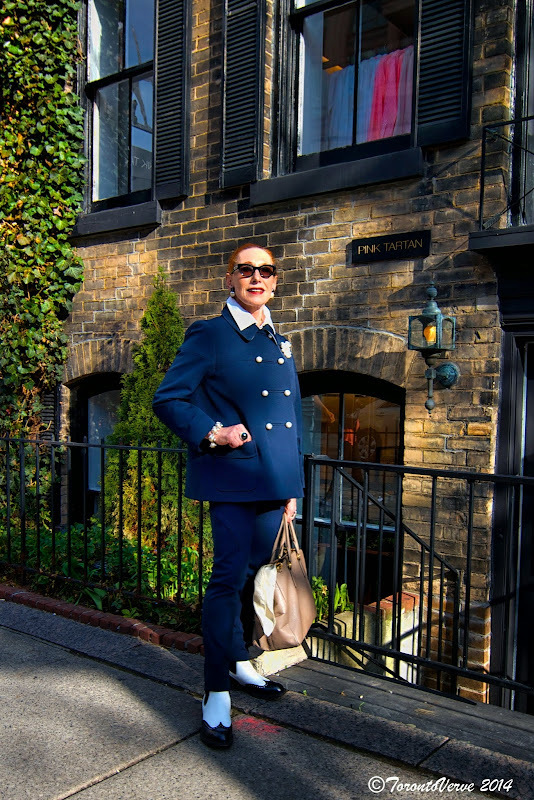 Definitely one of the most stylish women I've come across in Toronto.